Dallah Hospital in Riyadh: When it comes to choosing a hospital, one thing is for certain: quality counts. Over two decades of tradition, excellence, and quality in providing medical care in a comfortable and convenient environment means peace of mind for the thousands of patients who are cared for by our doctors, specialists, and nurses at Dallah Hospital each year. We focus on offering a wide range of consistent high-quality and up-to-date medical services which allow us to improve the health of the communities we serve, with compassionate consideration and sensitivity to the individual needs of our patients and their families. As an organization of caregivers, we strive to become the hospital of choice in Riyadh and to be recognized for having the most satisfied patients, the best possible clinical quality and outcomes, and the best physicians, specialists and employees. We aspire to change medicine in KSA in a way that will positively impact people’s lives, while working together to put the patient first in everything we do. 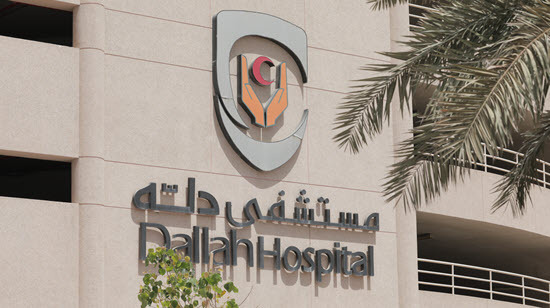 Dallah Hospital is defined by caring for the individual, adhering to an uncompromising code of ethics, emphasizing complete honesty and sincerity, continuously learning, and working in a constant effort to improve our skills, programs and services. First private hospital in Saudi Arabia to offer laparoscopic surgery in 1990. First private hospital in Riyadh to perform cardiac surgery in 1995. One of the first hospitals in Saudi Arabia to open in-virto fertilization unit and fertility clinic. First hospital in Saudi Arabia to deliver a baby through sperm extraction in KSA (1996). First private hospital in Saudi Arabia to receive license to provide medical treatment using radioactive materials (2003). First hospital in Riyadh to open catheterization laboratory practices that allows Dallah Hospital to treat heart related illnesses without the need to carry out open heart or bypass surgeries (1995). First private pediatric hospital in 2013. Dallah Hospital was accredited by JCI since 2009 and its validity continues today. Consistently achieved patient satisfaction levels of more than 95% in independent market surveys.